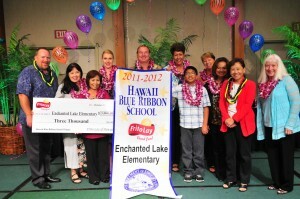 Enchanted Lake Elementary, Heeia Elementary and Hokulani Elementary Schools were named Hawaii’s Blue Ribbon Schools today by Frito-Lay of Hawaii and the Hawaii State Department of Education at the Hawaii Distinguished Schools awards event held at the Hilton Hawaiian Village Tapa Tower Ballroom. 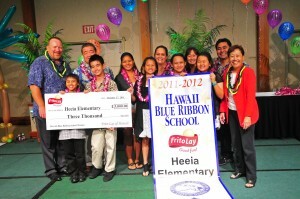 The three schools were chosen based on their outstanding student achievements and are Hawaii’s nominees to the 2012 national No Child Left Behind – Blue Ribbon Schools Program. These selected schools will be considered for the coveted National Blue Ribbon designation along with other schools from across the country. 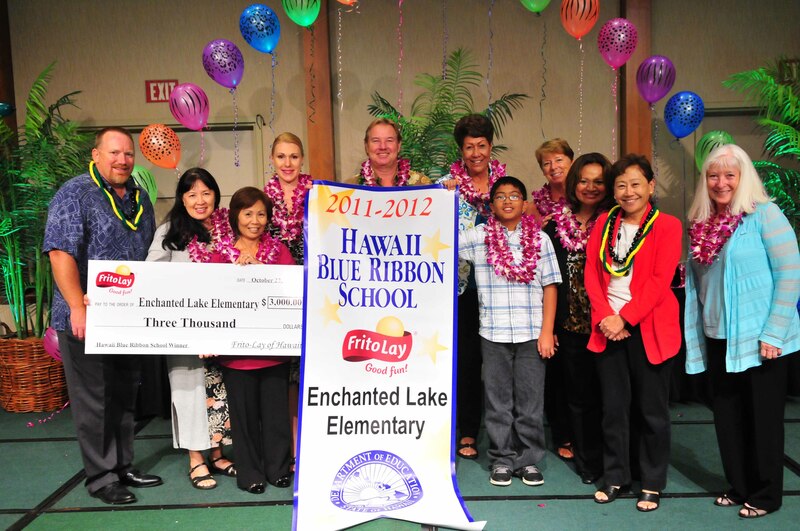 Announcing the three elementary schools selected to receive the Hawaii Blue Ribbon Award and nominated to represent the state in the 2012 National Blue Ribbon Schools Program. were selected from this group to be Hawaii’s nominees to the No Child Left Behind – 2012 National Blue Ribbon Schools Program. These schools have shown dramatic improvement in test scores or are achieving in the top 10 percent of schools in the state in both reading and mathematics. 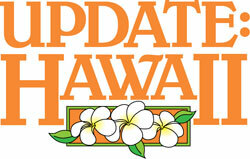 At least one-third of the schools must have 40 percent or more of their students from disadvantaged backgrounds. 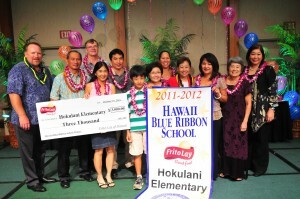 Last year’s recipients, King Liholiho Elementary, Koko Head Elementary and Waialua Elementary schools were also recognized and presented with $1,000 in addition to the $3,000 each received upon selection as Hawaii’s representatives to the No Child Left Behind – Blue Ribbon Schools Program. Since 1988, 63 Hawaii public schools have been nominated to the national level of the Blue Ribbon Schools Program, with 43 receiving National Blue Ribbon School honors.